While generating the SQL scripts, you might have often seen the GO keyword. What it is ? Let's see what exactly it is. GO is not a Transact-SQL statement; it is a command recognized by the sqlcmd and osql utilities and SQL Server Management Studio Code editor. 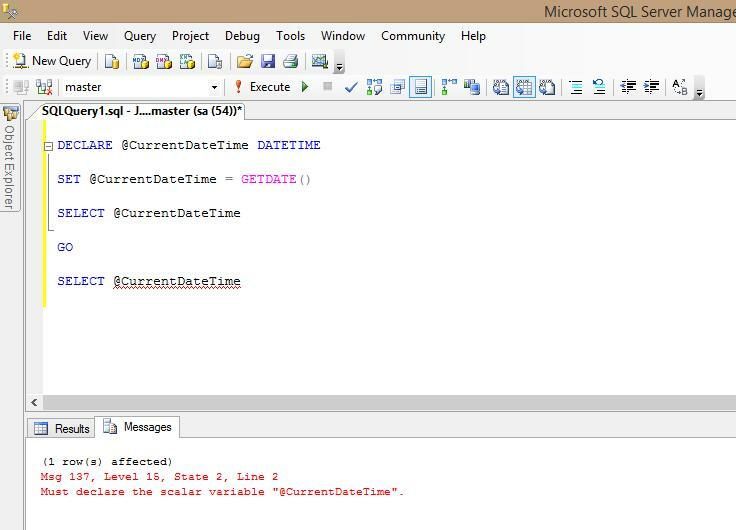 SQL Server utilities interpret GO as a signal that they should send the current batch of Transact-SQL statements to an instance of SQL Server. The current batch of statements is composed of all statements entered since the last GO, or since the start of the ad hoc session or script if this is the first GO. 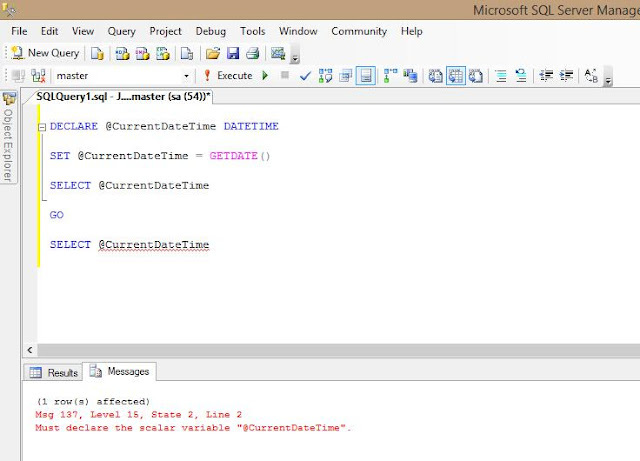 This means, it is not considered as a T-SQL keyword and is more of a command to SQL Server. This keyword basically act as a command for SQL to execute a group or batch of statements which are written before the GO keyword is encountered. Here, the (1 row(s) affected) message refers to the first SELECT statement which returns the value. However, the second SELECT returns error as the variable cannot be accessed after the GO command is executed.